Renault Pro+ is broadening its range of electric LCVs/vans with the introduction of the Master Z.E. large electric van. Ideal for emissions-free access to city centres, Master Z.E. is well-suited to last-mile deliveries. Pricing and full Irish specifications should be announced before the summer, with possibly being open for orders in or just after the summer. First deliveries of the new Renault Master Z.E. are expected to start before the year-end. The Master Z.E. benefits from the know-how of Renault, which is Europe’s leader in electric vehicles. A new-generation Lithium Ion 33kWh Z.E.33 battery with optimized electronic management, and a highly efficient motor give it a 74 mile real-world driving range and a charging time from empty to fully-charged in just 6 hours. Renault says that the new Master Z.E. 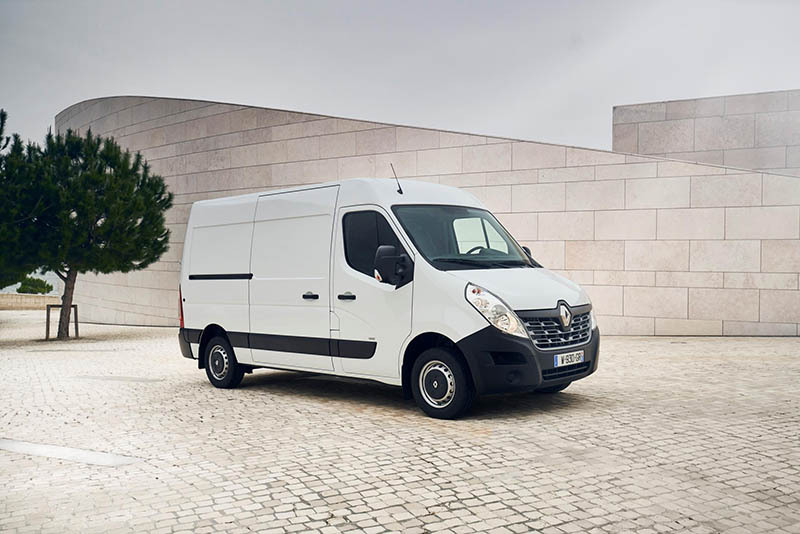 also offers many of the tailor-made solutions available from Renault Pro+: a genuine commercial vehicle, a large number of versions, a dedicated network and made-to-measure conversions. As part of Renault ‘Easy Connect’ solutions, Renault Pro+ sas that it is also introducing their ‘Easy Connect’ for Fleet, an ecosystem of connected services for business users that simplifies managing vehicle fleets and reduces running costs. Renault promises that the Master Z.E.’s cab still provides maximum comfort for the driver and front passengers and features a genuine mobile office space with a dashboard swivel table and document holder, as well as a large number of ergonomic storage compartments. It adds that there is a multimedia centre for the users, with the R-LINK Evolution system: TomTom with voice command, range management, navigation to plan trips, etc. Renault also says that the Master Z.E. also maintains the Master’s excellent ride and handling. and that it keeps the latter’s robust,expressive design and top-tier active and passive security. Ashwani Gupta – the Senior Vice-President, LCV Business Unit, Renault-Nissan told us: “With the Master Z.E., Renault Pro+ is enlarging its e-LCV line-up consistent with the ‘Drive the Future’ strategic plan, in which 100 per cent of vans will be electrified. The current line-up, ranging from quadricycles to heavy vans, covers the main needs of business customers in terms of cargo volume and payload, enabling them to make emissions-free last-mile deliveries in city centres. In addition, a new ecosystem of connected services has been rolled out to improve fleet management and help customers to grow their businesses”.